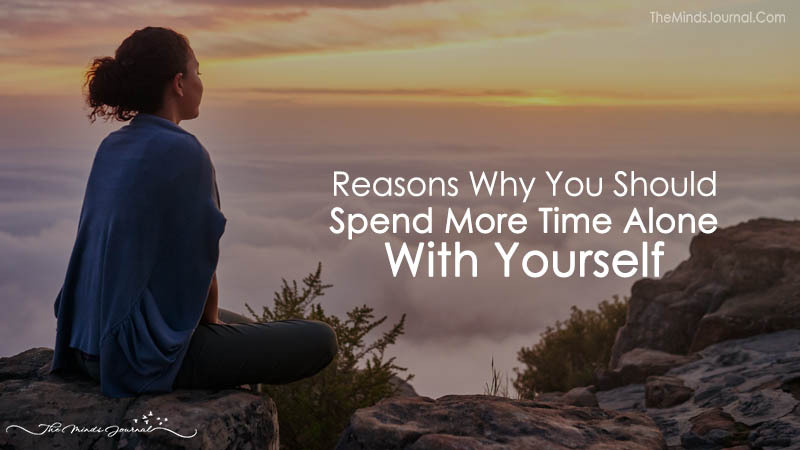 When was the last time you took a break from everything and everyone just so you could spend some time alone with yourself? When was the last time you gave yourself as much love, appreciation, and affection as you give to those around you? Most people give a lot to those around them, but very little to themselves. And because of that, they get imbalanced. They neglect their health, they forget about their dreams, needs, and desires, they forget about who they truly are underneath it all, and gradually, without them even realizing it, they become a stranger to themselves. This isn’t how we should treat our own selves. When you deeply love and care about someone, you spend time alone with that person. And the same you should do with yourself. You deserve as much acknowledgment, love, and appreciation as everyone else. And before expecting to get all of these things from anyone else, you should first learn how to offer them to yourself. 1. You get to know yourself. You are the most important person in your own life, the hero of your life story, and by taking the time to be alone with yourself, to be yourself and to know yourself, you will reach deep into your own heart and Soul, and you will get to experience the beauty, the greatness and the wonder of you. And what can be more beautiful than that? 2. You learn how to be alone without feeling lonely. When nobody's watching, I pretend I'm a moon sprite; transcendent, effervescent, ever curious. Yet my birth certificate says I'm a human born in Romania. Oh well.I'm an enthusiastic student of the arts, economics, psychology and spirituality and I take great pleasure in shining light on life's hidden truths, the paradoxes that both stare us in the face and hide from us in unison, as they silently shape our every waking moment.I am the author of the successful blog post 15 Things You Should Give Up To Be Happy, which became perhaps the most viral personal growth blog post in history. Over 1.2 MILLION people shared it on Facebook.This lead to a book offer from one of the world's major publishers and a speaking slot at Mindvalley's Awesomeness Fest (see video below), where I shared a horrific personal story of trauma and abuse at an early age. And how I coped with these wounds and rather than let them break me instead used them to propel myself into a new world, a new career and a meaningful and happy life.